A move to attract overseas golfers has led to Lakelands Golf Club on the Gold Coast switching to become a public golf course. And it’s the 250 Lakelands members, possibly left in ‘limbo’ who are none too happy about the move. 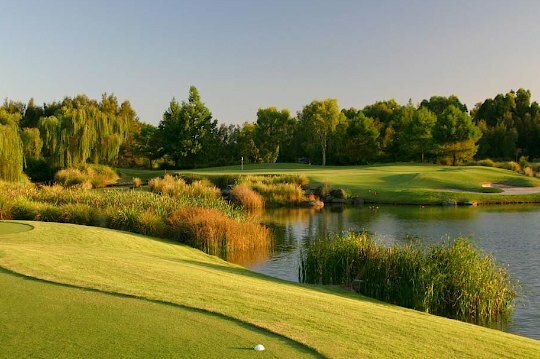 Hailed as the great Jack Nicklaus’ first Australian designed layout, Lakelands opened in 1997 and quickly established itself as one of Queensland’s premier layouts. For several years though, it has operated as a predominantly private members’ club with only limited access for public play. That was until last week when it was announced the club would revert to allowing the public easier access. Members have been outlaying about $4800 a year in annual fees at Lakelands and the move to switch to a public facility, supposedly due to financial constraints, has left many of the membership confused. Members were also informed Lakelands would no longer offer any fully unlimited membership categories as of July 1 this year and told that playing access options would be offered where vouchers were issued. Supposedly that will not have too much impact on the whole membership as many of the members are already playing their under the new voucher system. The club’s decision has not only affected members, but Lakelands’ two leading teaching professionals David Nable and Ann Wilson have also been told their contracts would not be renewed after June 30 – meaning they may have to look elsewhere to practice their teaching skills. Lakelands has long been one of the ‘must play’ layouts on the Gold Coast, possibly because it has been voted ‘best-conditioned Australian public access course’ in four of the past five years by the renowned Australian Golf Course Guide, an annual review of all Australia’s golf courses.